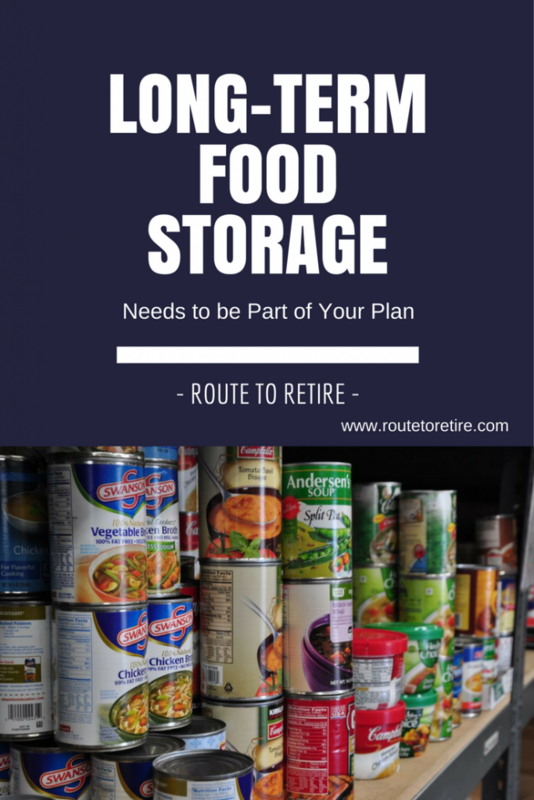 Why in the world are you finding a post on long-term food storage on a blog that focuses on finances? Isn’t this a topic you would only find on the survival sites out there? Possibly, but I want to shake things up a bit. 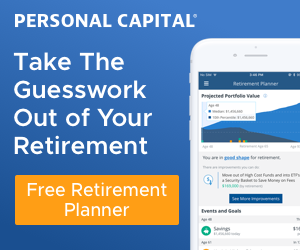 And here’s why: planning for your financial future should take into consideration the pitfalls of life that can hit you at any time… and that includes the possibility of running into a situation where food and water become a lot more scarce. So, what is long-term food storage? The whole idea of long-term food storage is exactly what it sounds like – being able to store food for future needs. Chances are, you only have enough food in your pantry to last you a few days. The goal of long-term food storage is to have enough food in your house or apartment to sustain you and your family for a much longer amount of time… a couple weeks, maybe a month, or even a year. Ok, but why on earth would anyone want to store so much food to last for so long? Organizations such as FEMA recommend that you store enough food and water for at least a couple of weeks. Their Food and Water in an Emergency guide discusses the importance of planning ahead for disasters that could strike such as an earthquake, a hurricane, or a blizzard. This alone should be enough in itself to get you to start planning ahead. But, if not, what about the financial considerations? Think about it – if you lose your job, more than anything in the else, having enough food (and water) for you and your family will be the top priority in your life. Or what about an event like hyper-inflation where the prices of food can become ridiculous in a time-span of just hours? If the cost of bread or milk suddenly jumped to $100 and you had to wait in line for hours to get it, would that be a problem for you? Wouldn’t it be good to have some type of buffer already in place to begin with? There are plenty of choices for buying food that lasts a long time, such as a Meal, Ready-to-Eat (MRE) or dehydrated foods. As people have become more active about preparing for unknown problems in the future, dehydrated foods have become more readily available with a bigger selection to choose from. Here’s what’s great about these – they don’t take up a lot of space, the cost is pretty reasonable, and they’re good for an extremely long time (decades). So if you live in an apartment or don’t have a lot of space, this is a nice option for you. The downsides to these are that you need heat and water to make them. If you don’t have one of these in the event of a disaster, you’re likely going to struggle. The other problem is that, although the foods have become much more palatable, you’re probably not going to know how it tastes until you need it. And, if it’s not very good, that could be one more bit of stress to deal with – especially if you have kids. We currently have some dehydrated food, but probably only enough to last us a week. Another idea is to just start buying a little extra food every time you go to the grocery store. Instead of buying 2 cans of green beans, buy 4 and put the extra 2 cans away for long-term storage. The key to making this work is coming up with a rotation system. 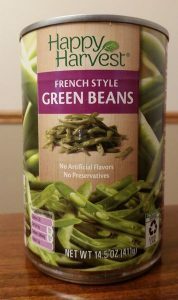 So the next time you need green beans, you’ll still buy 2 cans from the store. But the difference will be that you’ll use the older cans you had previously put away and add the 2 new cans to your long-term food storage area. This system takes a little effort and time to get used to. In my last post, Why I Ended My Costco Membership, I briefly talked about how we built up some long-term food storage for ourselves. This is the method we used to accomplish it and my family has been doing it for a few years now. I take a Sharpie and mark everything with the current month and year and then shelve it. I’ll then grab the oldest products of whatever we might need in the near future and bring it up to our pantry. We’ve built up quite a system over the long run, but I feel good knowing that we have enough food and water to last us at least a month or so for most bad events that might transpire. And if nothing happens? So what. No harm, no foul – we’re going to eat or drink this stuff eventually. Some of the easiest foods to consider storing are canned foods – vegetables, beans, fruits, soups, meat (Spam!! ), tuna, and even Chef Boyardee cans just to change things up. You should also consider rice, quinoa, pasta (maybe Ramen Noodles? ), peanut butter, nuts, cereal, oatmeal, flour, and some hard candy. And although water is vital, be sure to have a few other luxuries on-hand for yourself like coffee, tea, and even powdered milk. Maybe some liquor as well??? Finally, be sure to hang onto honey (lasts forever! ), salt, sugar, and other spices. That might sound like overkill, but we all know that a little spice can make even the worst foods taste a little better. When you’re planning your food storage, do what makes sense. If you don’t have a lot of money, you’re probably better off storing some extra canned foods and rotating. If you don’t have a lot of space, long-term storage pails of dehydrated food might make more sense. Or maybe a combination of the two or even another method might make better sense for you. Some people do their own canning or jarring of foods. That’s fantastic and might be a great option for you. For me, I lack the time to do that, so I focus more on the other methods I’ve mentioned. When talking about long-term food storage, please know that water is an even more important consideration than food. Think about how long you can go without water… not that long. You can survive for 3 minutes without air. You can survive for 3 hours without shelter (in a rough environment). You can survive for 3 weeks without food. In other words, if you’re good on the first couple objectives, make sure that you have access to water. Here in Ohio, there was a pretty big story a couple of years ago that went nationwide about an algae bloom contaminating the water supply from Lake Erie. This left residents of Toledo, Ohio as well as part of Michigan without drinking water for days. It was so bad, they were told that boiling the water would not get rid of the problem. This became a real mess for people and residents found they could drive an hour away and still not find bottled water. Would you be Ok in a situation like this? What if it lasted a couple of weeks? In that same Food and Water in an Emergency guide I mentioned earlier, FEMA states that the average person needs to drink at least a half-gallon (2 quarts) of water per day. I think that number is low, but they are talking to survive, not just a level of comfort. So that means that a husband and wife need a gallon (4 quarts) of water per day. That adds up to 7 gallons (28 quarts) of water per week! And, if you have kids or pets, that number is going to jump even more quickly. Water’s a tough one to store because of how bulky it is, but you need it. We store a lot of water in “the Dungeon.” We have four 5-gallon jugs of tap water that I clean out and refill on a semi-regular basis. Additionally, we have probably around 16 cases of bottled water at any given time. Similar to my food storage, I mark these with the date and rotate them out as well. 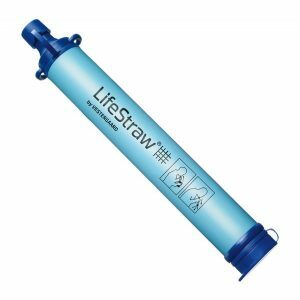 And just to be on the safe side, we also have a few LifeStraw Personal Water Filters (amazing!) and Aquamira Water Treatment Drops. Hey, I love camping and hiking, so these are valuable (and pretty cool!) to have for us regardless, but they’re something you might want to consider as well. So, when you think of long-term food storage, don’t just think of food, but realize just how important water is to you as well. In other words, if you’re going to do it, do it right. I’ve tried to make this a high-level post to focus on some of the basics that you ought to be doing. This isn’t a post to tell you to go all Doomsday Preppers and start planning for the end of the world, but you need to plan for the essentials for you and your family. When trying to determine the amount of food and water to store, you’re going to want to figure out what works for you. The Mormon Church recommends that you build up a 72-hour emergency supply of food, a 3-month supply, and a long-term year’s worth of food. That’s a lot harder (and more expensive) than it sounds, but it gives you something to shoot for regardless. I would venture to say that we probably have about a 2-3 month’s supply of food stored. That seems to be the right amount for us to successfully work into our rotation without the food getting too old. Just know that if a natural disaster ends up hitting your area, you’ll feel a little more at ease knowing you’ve got the basics covered. And if you unexpectedly lose your job and can’t quickly find another or some major financial crisis ends up hitting you, this extra food and water you have may just be what saves the life of you and your family. 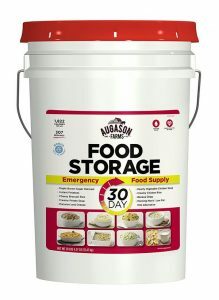 Has long-term food storage been a part of your planning in your life? Wow what a thorough and insightful post, even if it is just the basics. We have a minimal amount of food stored in our pantry and rely heavily on a weekend shopping trip for our next week’s meals. This definitely gives us something to think about… It’s the situation of a low likelihood event having a huge potential impact, a black swan event if you will. And you know I’m all about the black swans 🙂 … And green swans! So I’ll have to get on top of this. No reason not to! This might be an odd topic on my site, but I thought that it’s something that people could and should do and can involve very little cost if spread out. I also find it weird when someone says “we had to go out to eat because we didn’t have any food in the house”. You think they are speaking figuratively and didn’t have anything really delicious or easy so they went out to eat for something yummy. But no. Some people literally have not enough food to comprise a meal. As in they run out and have to go out to eat or go to the grocery store. Unfathomable for us with 3 kids who constantly need to eat and a busy weekday afternoon schedule that doesn’t include time for dining out. Worst case we cook some soup and throw some veggies in. Or make a sandwich. Or some pasta and quick sauce with some meat and veggies. Hey, Justin – definitely an honor to have you visit my site! I’m with you in finding it strange that a lot of people really just don’t have any food in their house. I think I would actually be nervous of that. When the unknown happens, even for a short time, that would be downright scary… especially if kids are involved! We’re “accidental” food storers. 🙂 I try really hard to only buy stuff I know we are likely to eat before it expires. Otherwise it’s wasted money. We go through a 50 lb sack of rice after several months so we know it won’t go bad (we do have to bag it in gallon ziplocks so it doesn’t get mealworms or bugs in it). That’s a good idea on the bags for the rice. We have sugar and flour and other things like that where I make sure to put them in some Rubbermaid Tupperware-like containers to hopefully ward off any possibility of bugs. When it comes to water, all I have to do is stick a few buckets outside. Yes, we get that much rain! We probably have a few week’s worth of food in the pantry and stored out in the garage. I might be able to stretch it to a month or more if I got creative. It’s mostly canned and dried food. In general, I’m not a doomsday prepper but I do believe in being able to live without the help and services of other human beings for a reasonable amount of time. We have plenty of food and we live on a well so in theory we have plenty of water. Our risk is if something were to happen we have no heat or electricity. Everything runs off gas but we have no blower without power. We have a to-do to purchase a generator at some point. I keep delaying due to cost, thanks for the reminder. Nice, I wish I had a well – I would love not to have to stock water! I bought a gas generator a few years ago. I tested it to make sure it works, but we haven’t needed to use it yet. There are 2 things that I’ve learned about gas generators since then… the first is that they are not supposed to be outside getting rained on, which, of course, is generally the time when you would need a generator. So you have to figure out some kind of canopy solution that wouldn’t blow away or buy a cover for it specifically in the rain (which aren’t cheap). The second thing I learned is that you need to figure out a fuel rotation system. It would be nice to just buy gas and leave it with the generator, but unfortunately it will go bad even when adding a fuel stabilizer. I bought a 14-gallon can with a pump and now have a rotation where around every 6 months, I fill my car with it and then make a trip to refill the can. Kind of pain, but it needs to be done. I don’t know about can food, but I have about 2 months supply of rice and some beans. 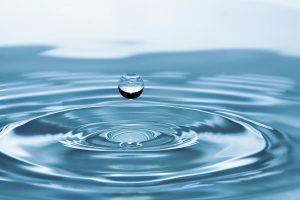 Getting water filter is a great idea, I’m in the Caribbean and the local is talking about the government need to have water treatment plan, as some of the rich folks here filter their own from rain. That’s great on the rice and beans. I like having a portable water filter as a “just in case” tool. Yes, it’s great for backpacking trips, but it’s truly a cheap and easy backup way for making drinkable water.